Sometimes I hear a song on the radio, and I think to myself, “Okay, how can I bring this into my music therapy sessions or music classes?” I’m sure that’s what was going through Rachel’s mind when she decided to use this 50-year-old song in her classes and sessions! Today, I’d like to explain all the ways I’ve been using this song to reach the goals and objectives my clients and students are striving for in music therapy and music enrichment classes. “Put a Little Love in Your Heart” has beautiful lyrics all about making the world a better place. The chorus repeats enough to make it ideal for music therapy or music classes, plus it is a familiar song many will know and love. One of the great things about using familiar songs such as “Put a Little Love in Your Heart” is that not only are they catchy, but parents, caregivers, and teachers are more likely to also become engaged because it’s a song they already know and can jump right into singing along. The best part about having support from the adults in the room is that they can encourage clients and students throughout the song, and many adults report that they sing the songs from music class or a music therapy session all week long! I love adding sign language into my music therapy interventions, but some songs are not ideal for pairing with ASL. Fortunately, “Put a Little Love In Your Heart” is not one of those. This song repeats the title lyric many times, and the simple chorus makes it so easy to use sign language because the clients and students will naturally have lots of opportunities to practice the signs for each word. Although this song has many repeated lyrics, the other lyrics might be challenging for children to understand. For that reason, I created visuals to accompany the lyrics. I will often omit key words, and with the visuals as a guide, I will have students and clients identify what is in the picture and sing the lyric or word that I left out. Of course, I can simplify even further by prompting students and client to sing “love” whenever they see a visual of a heart. Challenging students in that way may be easier (because they only have to identify one object in one visual repeatedly), but it may be more difficult as it would require sustained attention — a difficult but important skill. Adaptations like that may seem small, but they are targeting a vital skill that we are all required to use every day. 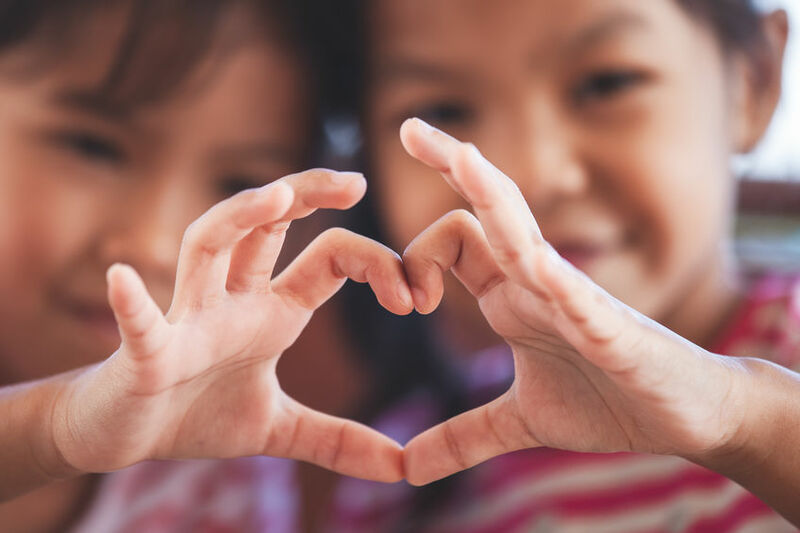 Valentine’s Day is one of those special times throughout the year that we are encouraged to share our love and appreciation with those around us, and examine how we can spread more love and kindness all around. “Put a Little Love in Your Heart” reminds us that we should share our love to improve our world, and even if that is the only goal we accomplish through using this song in music therapy sessions or music classes, that is good enough for me…but I’ll take all the extra goals the song targets as well! Tell me in the comments below: how do you encourage your clients and students to spread kindness and love?